BugZooka is a fast, simple, and clean way to rid bugs from your home. 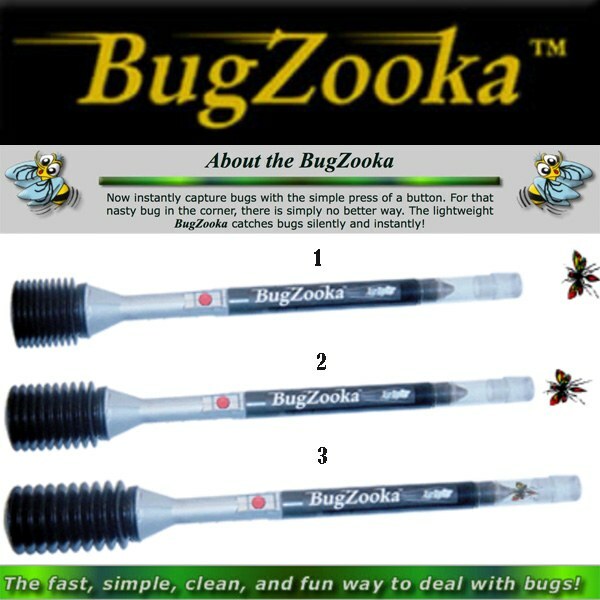 BugZooka as seen on TV is a fast, simple, and clean way to rid bugs from your home. The innovative and light weight new BugZooka lets you keep your distance and avoid bug squish and splatter without expensive batteries or toxic chemicals. It&apos;s unique patent pending design creates 10X the instant suction of heavy battery powered devices. BugZooka catches bugs instantly.